Hope for Dating still there. My Love from a Star still here. I didn't check for more. But could it be that the deletion was posponed? Maybe it was a mistake and the date is July 27th? I haven't received a notice of an disappearing drama with a specific date, but that could be the case. Yes, this is the expiring licenses thread. And I would like to here suggest we - for each other - and possibly for the overlords, if they know this not - we write here on this thread, WHY the drama is important to us personally. What is it that makes us mourn this loss. Other than our work, and the work of our friends. Painter of the Wind - a captivating historical with romance...and art. Fascinating. The acting is superb. The story...very entertaining. The art - surprisingly captivating. It has the girl pretending to be a boy - which is a beloved theme in many dramas - and it does all of this very well. When it ends, you wish it had more episodes. The Great Doctor...ah...from episode 15 to the end...this is the glory of this drama. We get beyond the set up and ....you are swept along in the current of love, politics, and some excellent fighting...and again, the cast is amazing. the job of the girl is to NOT get in the way of the oh so memorable main man...who essentially plays a similar character in SHR. There is also another actor in this one I noticed...and wondered why he stood out - and this was before his work in Six..flying dragons. Our Rebel is in this also - and you can see why he moves from supporting cast on. He stands out not only for his height, but his acting already in GD. Tree...what is there to say about tree, except it is incredibly well done and well acted. You see the painstaking labor of the King as he makes his written language...the resistance of the nobles...and all the things around this. it is easy to recognize the work of the team that did Great Queen Seon Deuk and Six. And it's a shame we won't have all three when the last of the trilogy finally airs. I mean, if people say they don't like historical - they come back saying they like Tree. So that's some of the reasons I love them and will miss them from our halls here. I wish they were not being taken down. There are dramas, that are like medicine, and the one for me is FAITH: Whenever I feel sick, or I feel down I watch the troubling "life"of Yoo Eun Soo and her encounter with the past. The challenges of life be it then or be it now is what helps me through the hardest days. I am not the typical fan that watches a drama for a certain actor or actress, I will try a project based on story. So it's rare for me that I, who do not really favor fantasy, historical or bloody action, ended up with FAITH becoming one of the most valued dramas in my viewer history. BEYOND THE CLOUDS - @cgwm808 (It's not on the list but I had a note in my inbox from the channel that it will be gone) It's a tragical story, one that goes deep and lingers on. I like stories that keep your mind buzy, while you watch it and after. Did I say, I am not watching for a certain actor, but when there are several actors I like are in one project, I will at least try. PROSECUTOR PRINCESS - it's a growing up story, even the female lead is already an adult, not so in behavior since she was overprotected by her parents. Coming out in this world in her profession as a prosecutor she has to face life as it is. She will step out of her shell being a dreamy girl getting over-exhited about shoes, to a responsible adult understanding the difference between a crush and real love. PROTECT THE BOSS - a comedy like tragical story, isn't it, but in re-view we tend to forget that indeed it was not only for the big laughs. I forgot to mention that at this project I also got to experience the comrady of team member, it was a hard time for me, when one of my family members had two grave surgeries and I in addition was so buzy at work. But I had a co-mod on stand-bye and a reliable team that made this drama one of my best volunteer experiences. I don't think, I will be able to watch more then those 2 till end of july. I do not want to rush through them either. So I am taking my time, if there is still time left, ... I will surely get back to the favorites of mine watching one or two scenes. Hm... If drama is not licensed anymore, shouldn't episodes be gone already? I still can see episodes of dramas which license has expired in July 17th. At the end volunteers are at the same end of information regarding licenses like any other user. All those things are in the hands of viki. You will need to ask them directly. Maybe there is still a matter about regions, QC status, or whatever. We, the volunteers, do not know, just like you are wondering, we do too. Both Viki and DramaFever are losing licenses because of Kocowa. They get dramas and the like from the big 3 networks. This is really about to be a problem. @trangle8507 I mentioned them regardless of their current status at viki. but I can only tell about dramas with viki as source there is no other for me. F.e. Surgeon Bong Dal Hee has a new channel, so how is it available in the US? I said they ain't available. Please read the whole sentence. 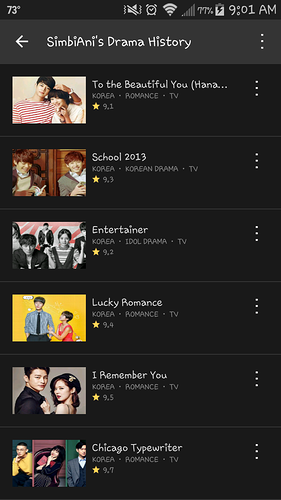 I personally checked on Viki app iOS. I am not a native English speaker, so I didn't know, why you came up with a list of dramas, when I already said, there might be no channel. P.S. At least for these dramas there were fan-channels before and all fully English subbed: 1,3,4,5,7. I'm not Native English speaker either. The rest of the list of drama that you posted there have U.S license and already expired like license in Europe. The list I post the license is already expired. I searched every drama in iOS in person. Maybe they are just locked for region, but doesn't mean all episodes are deleted. Warrior Baek Dong Soo, Painter of the Wind, The Great Doctor and Tree with Deep Roots. Those dramas you mentioned above are still there. They're just locked in specific region. All the subs are still there. I'm in the U.S and searched on iOS in person. 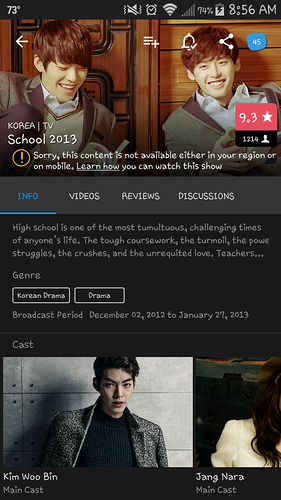 School 2013 and To The Beautiful You (Korean version) are still there in the U.S. It was not my intention making someone look up for the license status of the dramas I listed. The dramas never had a European license to begin with, they only were on fan-channels, just tolerated but not approved and later removed because of the content owner. I didn't even check the availability, it's only the titles of the dramas that are somewhat the dramas and channels making me into the viewer and volunteer I am today. I just do it at my own will and volition. I just want to help and get some news for you. We could ask them for specific region we want. IOS sounds like a mobile version? 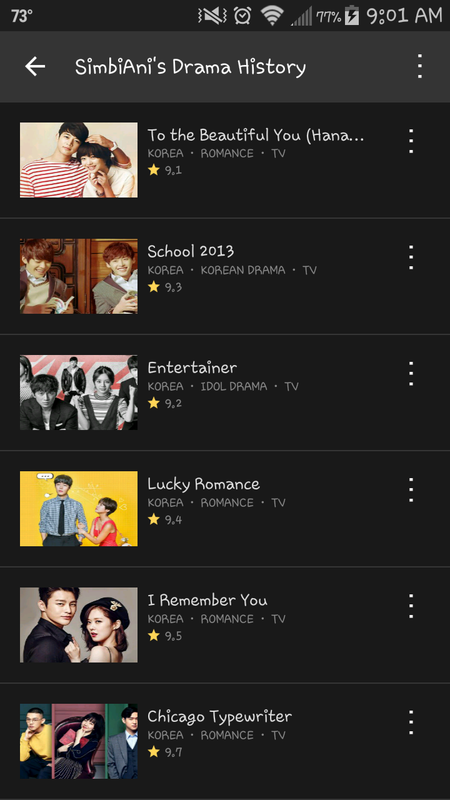 US viewer on Android Viki.. neither School 2013 nor To the Beautiful You come up in search, & when I go to their pages via my collections, I get the same msg as on the desktop: region-locked. THEY WILL BE REMOVED AT THE END OF JULY. Possibly 7/27. The warning label of "THIS TITLE IS NO LONGER AVAILABLE" is already visible. I'm in USA, by the way. You can watch them for a few more days. The removal notes were sent to the CM and the option to download subs to CM by the way - so you are not correct on this. Thank you for informing of Will It Snow for Christmas. Song Joong Ki was in that!! I loved the OST. Folks -- if you are sending me news about expired licenses, please only write to me if you got a notice from your CM or you are a CM who received a viki notice. I don't want to confuse the list with tiitles which may never have been accessible to you due to regional restrictions or titles which disappeared years ago. I'd like to confine the list to titles which are disappearing or have disappeared in the past few weeks. @simbiani If you said so and then I think It's available to me, but it doesn't mean it's available to all the States of the U.S. I think It must be separated by geographic locations such as North America, South America... Not sure, but it's my theory! Because it's available to me at the present. Anyway, it's just available for a couple of days!